OS X Yosemite and iOS 8 have brought out a set of features dubbed Continuity which allow users to easily transition between their Macs and iOS devices without skipping a beat. 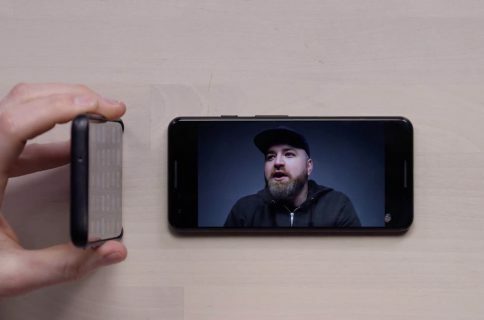 Now Samsung has responded with a feature of its own. They’re calling it Flow and it’s pretty cool. With Flow, you can change devices in the midst of an activity or pause an activity until you’re ready. 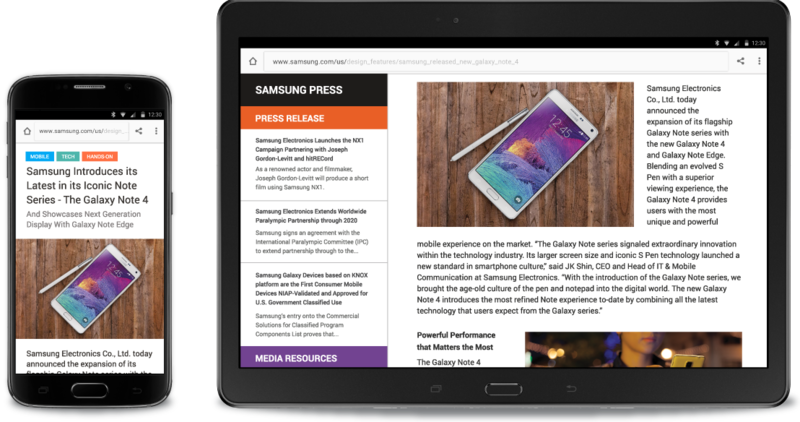 Now available in beta as a free download from the Google Play Store, Flow currently supports select Samsung tablets and smartphones: the Galaxy S5, Galaxy S6, Galaxy S6 Edge, Galaxy Alpha, Note 4, Note Edge and the Galaxy Tab S.
Using peer-to-peer networking, Flow devices communicate directly with each other, bypassing the cloud. It uses Bluetooth LE to advertise a device’s availability and Wi-Fi or Bluetooth for data transfer. Advertised as a platform rather than a feature, one crucial difference between Flow and Apple’s Continuity/Handoff is that the former requires some manual work, which isn’t necessarily a bad thing: with Flow, you get a dedicated button in apps that lets you specify the device of choice where your content will flow. “Transfer an activity to the right device for a task. Pick up right where you left off rather than starting from scratch on the new device,” Samsung said. Flow’s Task List, another cool feature, gives you a single place to track your deferred activities. 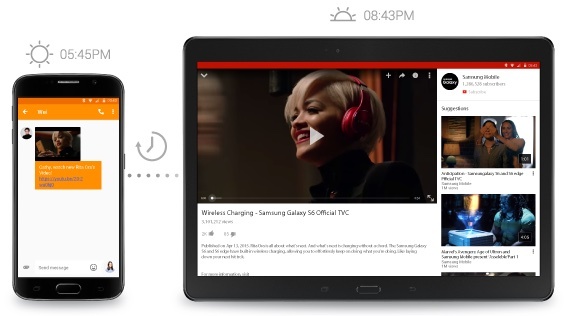 Flow synchronizes your deferred activities across your devices when they’re near each other. You can also transfer an application across devices and act on content within an application on a different device. In addition, Flow may propagate notifications across devices so that users can act on relevant notifications in a timely fashion. Out of the box, Flow supports the native Android sharing functions so the feature works with a number of existing third-party applications. I like Flow, in particular its ability to defer viewing media until a later time. And its ability to move activities across time as well as devices may prove enough of a differentiator to set itself apart from Apple’s Handoff and Continuity features. As a matter of fact, Continuity doesn’t support media activity deferring so I sincerely hope that Apple for once will dare take a page from Samsung’s book and implement a similar feature of its own. Handoff still does a few things unsupported by Flow, like sending and receiving text messages and phone calls on a Mac, for instance. If Samsung’s nicely done promotional video is anything to go by, Flow should be a bigger ecosystem play for Samsung as the feature should soon be implemented across the company’s smartwatch range as well as on PCs and Samsung-branded Smart TVs. 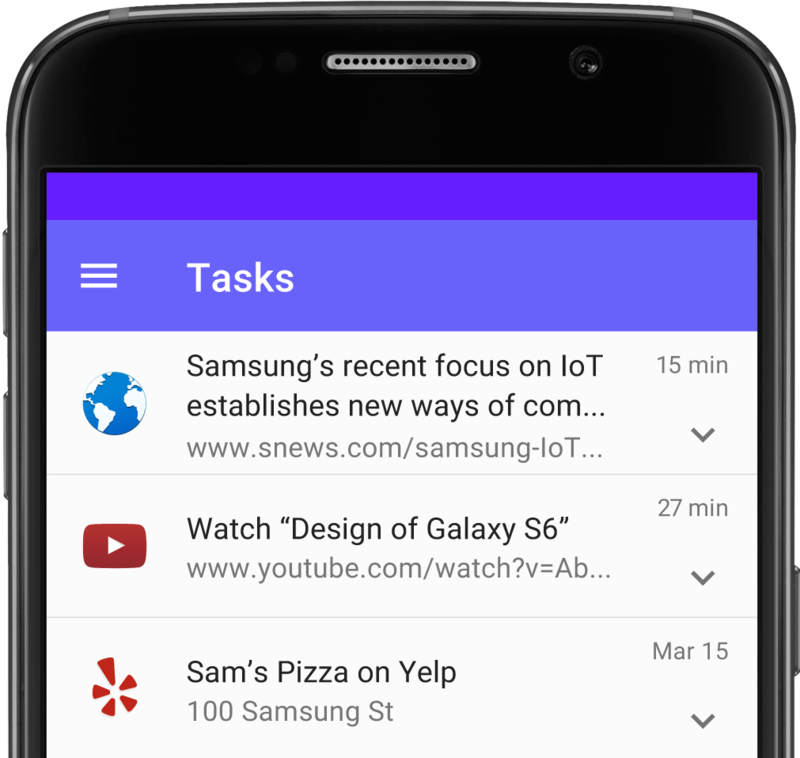 Samsung said an SDK will enable developers to enable their own apps for Flow. Direct integration allows applications to take full advantage of Flow’s capabilities and provide truly seamless experiences. 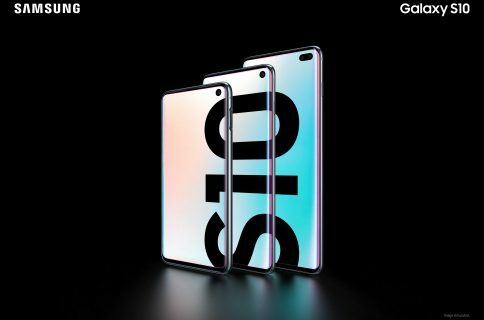 “Samsung Flow will scale to other device types and operating systems, for the Samsung Developer Conference we will focus on Android phones and tablets,” promised the firm. 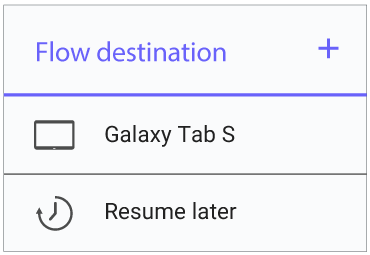 What do you think of Samsung Flow and should Apple extend the functionality of its own Continuity platform, do you think?